Salmon farmers in British Columbia are committed to growing the world's best fish and are continually improving their environmental practices. British Columbia farmers raising Atlantic salmon were the first to collectively achieve the Global Aquaculture Alliance’s Best Aquaculture Practices (GAA-BAP) standard, and are amongst world leaders in adopting the Aquaculture Stewardship Council (ASC). Members of the BC Salmon Farmers Association are working towards this stringent certification as fast, or faster than anyone in the world and currently have 6 ASC certified farms, which could be over 10 by the end of 2016. Farmers raising Atlantic salmon have committed to be 100% certified to the ASC Salmon Standard By 2020. In addition, all Atlantic salmon farmers in British Columbia have further committed to the Global Salmon Initiative (GSI). This initiative brings salmon aquaculture companies around the globe together to work to minimize the industry’s environmental footprint and continue to improve social contributions. 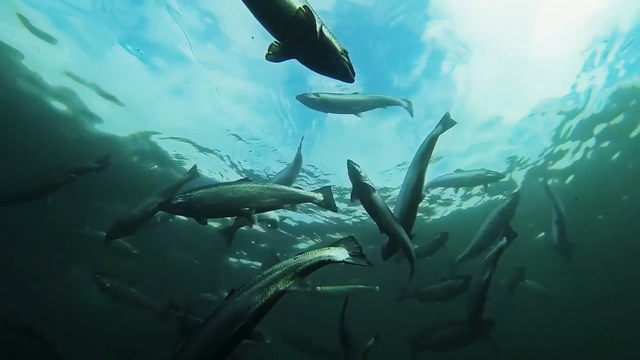 Watch the video to learn more about sustainable salmon farming practices in British Columbia.